Merton Council is working with Age UK Merton on securing the future of Celebrating Age for generations to come. 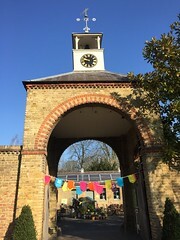 Instead of a festival this year, the council and Age UK Merton will be organising consultation events over the course of the year, encouraging residents to get involved in co-designing a series of Celebrating Age events for older people that is sustainable for the future. Details of the consultation events and how to get involved will be published on the Age UK Merton website and Age UK Merton will be involving the groups and individuals who usually participate in the Celebrating Age Festival. While the council and Age UK Merton appreciate many people will miss the festival this year, a review is necessary to secure its long-term future at a time when the council is having to make significant savings across all its services. The council and its partners are 100% committed to Celebrating Age community events that older people from the whole borough can enjoy. Using the borough’s libraries, working with organisations such as Age UK Merton and organising roadshows to ensure maximum accessibility to what these Celebrating Age events will offer are all issues to be considered. At the heart of the borough’s broader work for older residents will be how they can develop new skills and learn something different. Future Celebrating Age events will be important in showcasing what Merton has to offer. From full council on 18 May, Councillor Tobin Byers will be cabinet member for adult social care and health. Councillor Caroline Cooper-Marbiah will then be cabinet member for education.